1991 Professor, Chemical Kinetics and Catalysis, Moscow State University, Moscow, Russia. 1984 Dr. Sci., Chemical Kinetics and Catalysis. Moscow State University, Moscow, Russia. Title of thesis - "The Mechanism and Kinetics of Photoradical Processes in Solids" (defended April 6, 1984). 1973 Ph.D., Chemical Kinetics and Catalysis, Moscow State University, Moscow, Russia. Title of thesis - "The Direct and Sensibilized Photolysis of Aliphatic Aldehyds and Ketones at 77 K" (Supervisor: Assistant Professor Nataliya Fock; defended: October 14, 1973). 1964-1969 M.S., Chemistry, Moscow State University, Moscow, Russia. Diploma Title: "The Mechanism of Doublephoton Sensitized by Aromatic Compounds Reactions" (Supervisor: Assistant Professor Nataliya Fock; defended June 19, 1969). 2011-present: member of Editorial Boards of "Advances Material Science", "J. Phys. Chem. & Biophys.". 2010-present: member of Editorial Board of "Advanced Materials Letters". 2006-present: Senior Editor of "Russian Nanotechnologies". 2004-present: member of Editorial Board of "International Journal of Applied Chemistry". 1993-1995: Vice-Dean, Department of Chemistry of Moscow Lomonosov State University. 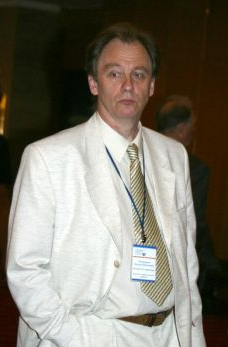 1993-present: Senior Editor of "Bulletin of Moscow University. Chemistry". Photochemistry and chemistry of active intermediates (radicals, radical cations, radical anions, carbenes, silylenes etc. ), photochemistry and photophysics of coordination compounds, chemical kinetics in solids, photochemical and thermal reactions on activated surfaces, catalysis, radiation chemistry, farmachemistry, nanochemistry. 2012 Russian Federation Government Award in the field of Education. 2008 Honoured worker of Science of Russian Federation. 2007 Emanuel Medal of RAS and MSU for eminent improvement in chemical and biochemical kinetics. 2003 Russian State Lomonosov Award in Science. 2001 Honoured worker of Lomonosov Moscow State University. Lectures "Practical Chemical Kinetics", "Farmakodinamics and farmakokinetics"
Mel'nikov M.Ya., Smirnov V.A. 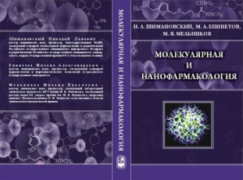 "Handbook of Photochemistry of Organic Radicals: Absorption and Emission Properties, Mechanisms, Aging", Begell House Inc., N-Y., 1996, 355 p.
Mel'nikov M.Ya., Razskazovskii Yu.V. Reactions of thiyl radicals in the solid phase. In: S-centered radicals (ed. Z.Alfassi), John Wiley&Sons Ltd., 1999, London, p.225-244. Mel’nikov M.Ya. Electronically excited radicals. In: “Physical Chemistry. Modern Problems”, Moscow, Mir Publ., 1987, p.48-88 (in Russian)). Mel’nikov M.Ya. at al. Practical Chemical Kinetics. 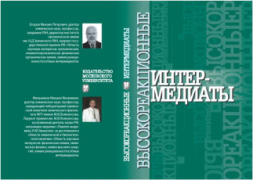 Moscow, MSU Publ., 2006, 592 p.
Mel’nikov M.Ya. at al. Experimental Methods of High Energy Chemistry. MSU Publ. 2009, 824 p.
Mel'nikov M.Ya. Active intermediates in photoradical ageing of polymers. Intern.J. Polymeric Mater., 1996, V.32, p.1-52. Weinstein J.A., Kovelenov Y.A., Blake A.J., George M.W., Matousek P., Melnikov M.Ya., Parker A.W., Portius P., Xue-Zhong Sun, Towrie M., Wilson C. Pt(II) mono-carbonyl complexes of a cyclometallating 2-(2'-thienyl-pyridinato-C,3N') ligand: nature and dynamics of the lowest excited state of the chloro- and thiolato-complexes. // J.Chem.Soc., Dalton Tran., 2005, N 12, P.2092-2097. Levinbuk M.I., Kozyukov E.A., Smorodinskaya I.Y., Melnikov M.Y., Kapustin V.M., Lebedev A.A., Zuber V.I. Alternatives to improving FCC performance // Catalysis 12(2) 2007 p. 51-57. Mel’nikov M.Ya., Pergushov V.I., Osokina N.Yu. Matrix isolation of intermediates on the activated silica surface: mechanisms and efficiencies of photochemical reactions of peroxy radicals. // Spectrochimica Acta, Part A: Mol. & Biomol. Spectroscopy, 2000, V.56, N 13, p.2517-2525. 2004-2006 The elaboration of new type anti-metastatic drugs (FASIE) .